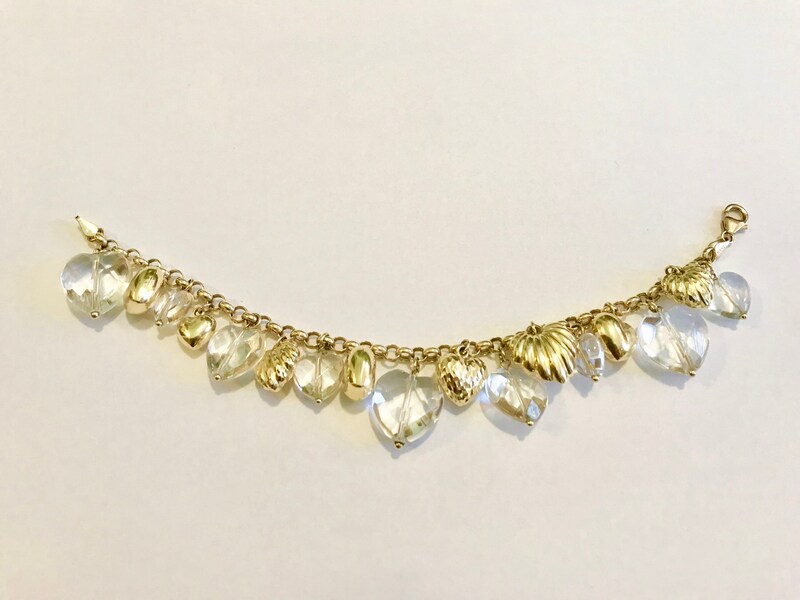 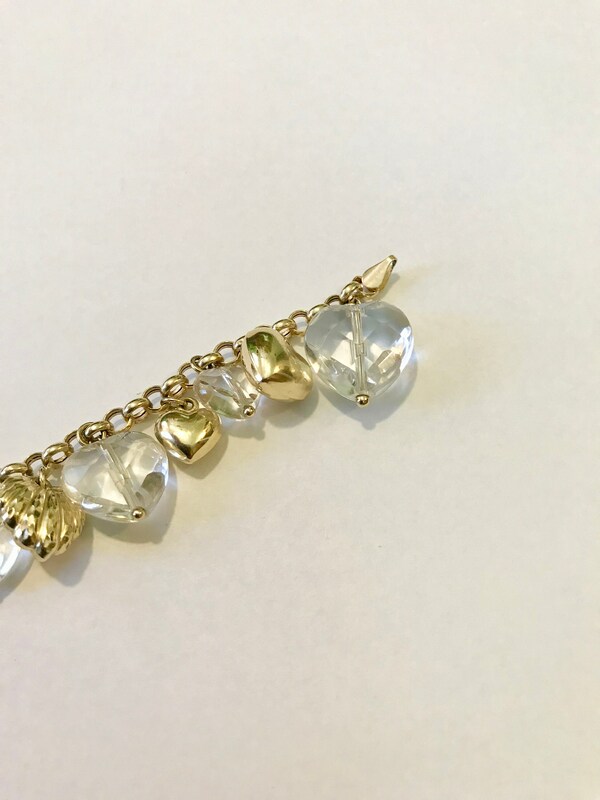 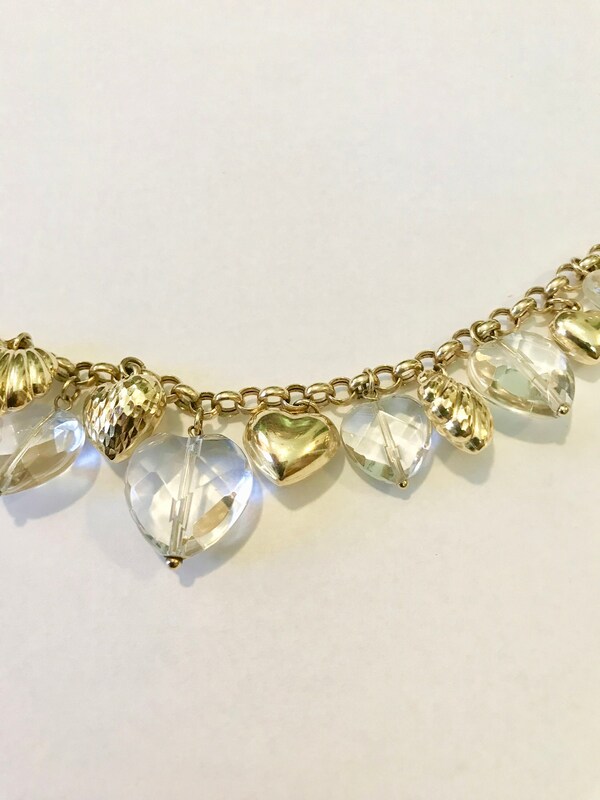 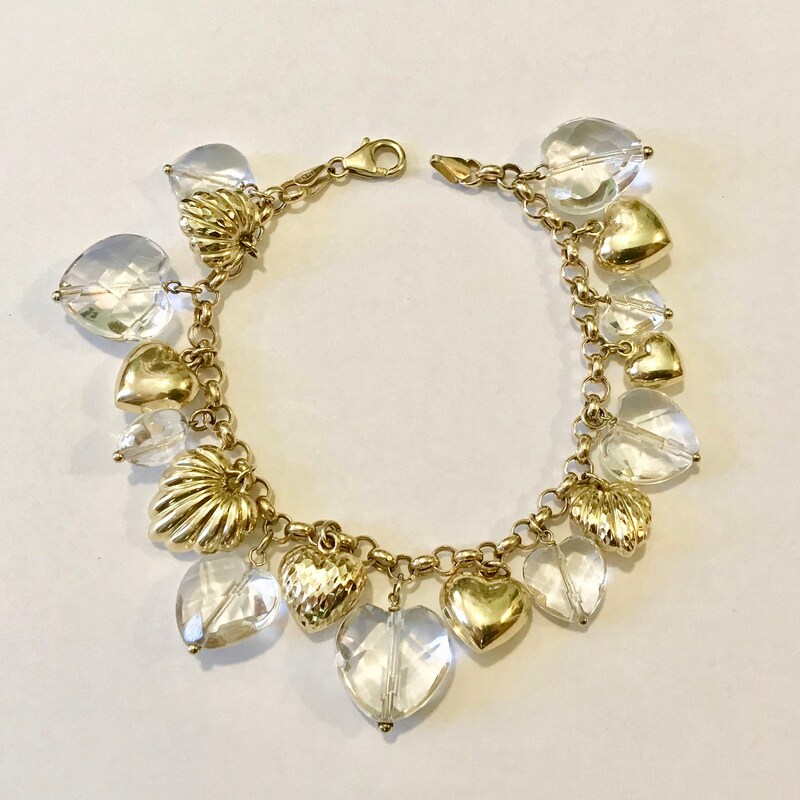 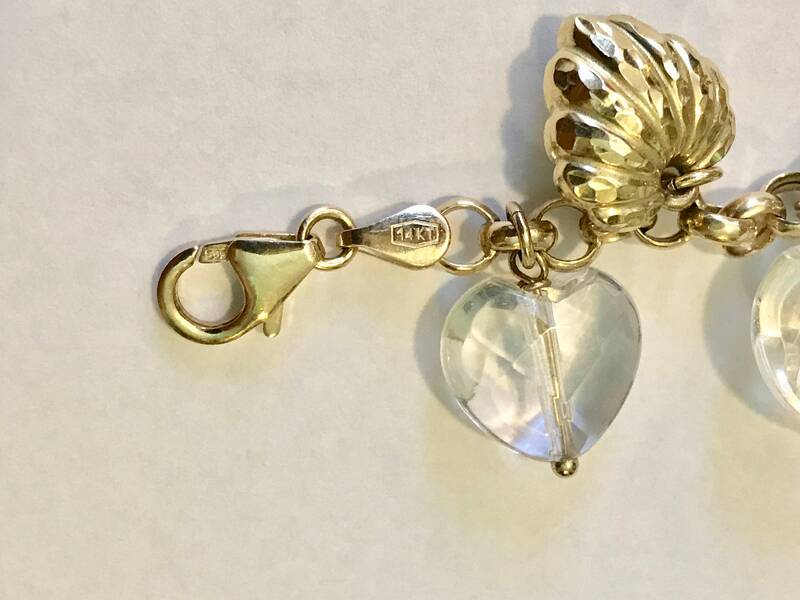 26.2gr Italian Puffed & Genuine Crystal Heart Charm Bracelet in real 14k yellow gold. 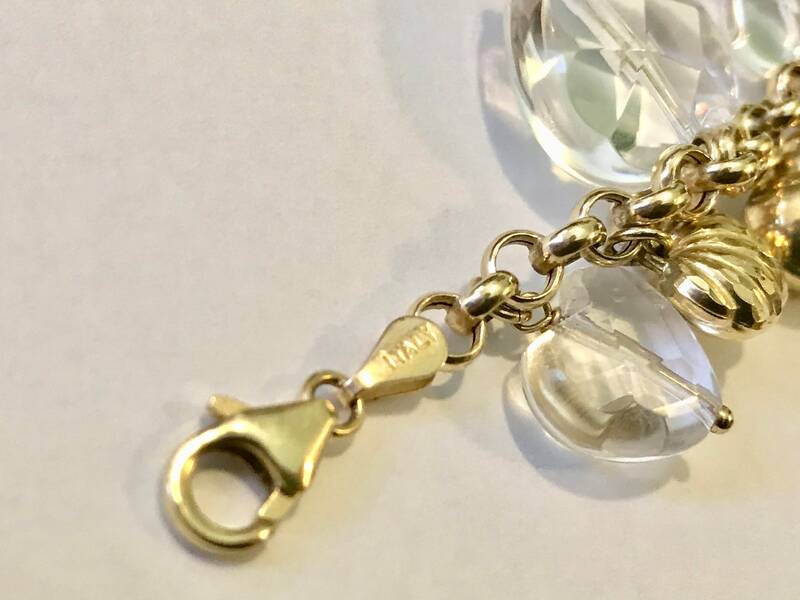 The gold weight is approximately 26.20 grams and is closed with a lobster claw clasp. 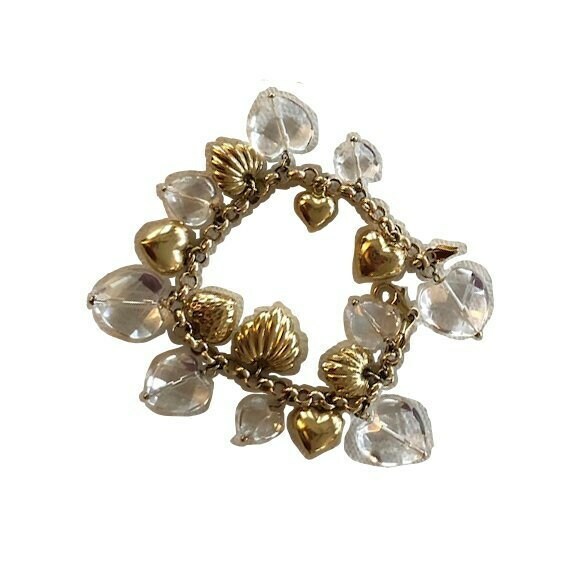 There are 17 double sided textured puffed heart charms. 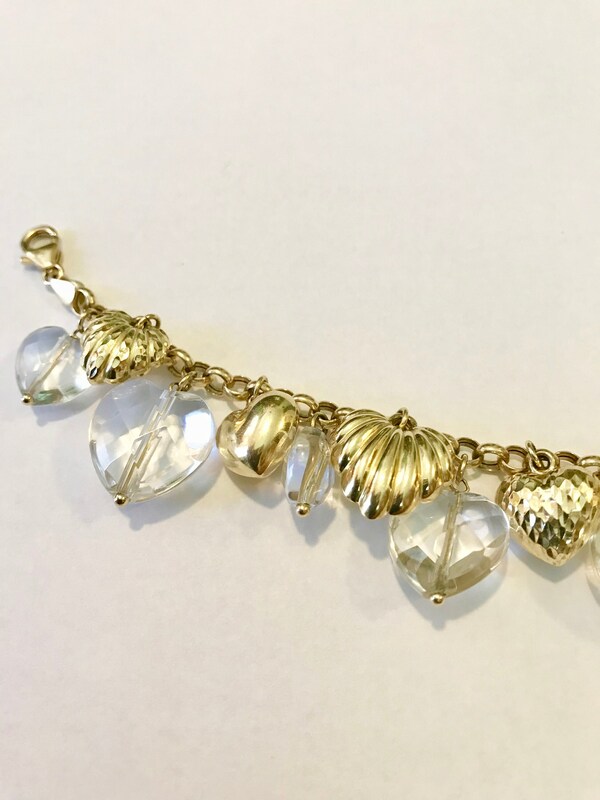 Bracelet is 7.25” x 1/8”. 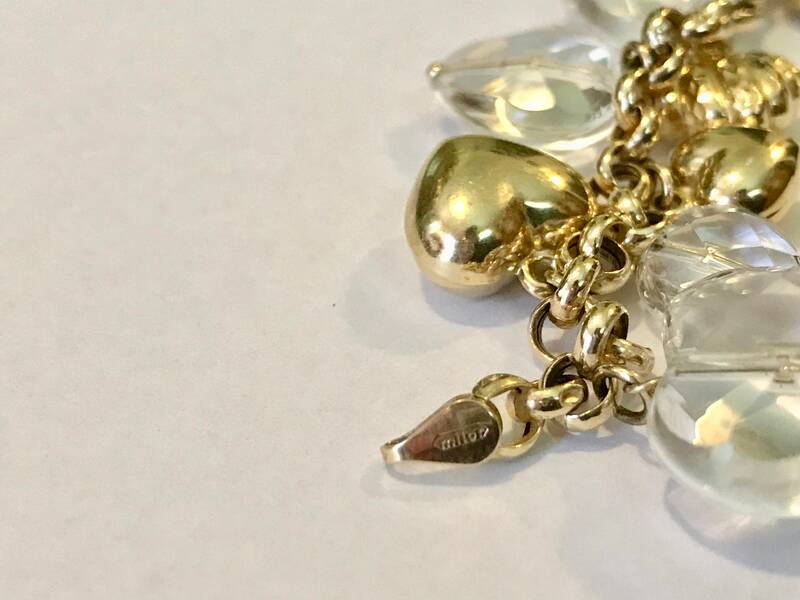 Made in Italy by Milor.